Little did I know that the U.S. Constitution declared March as National Noodle Month, even though Ben Franklin detested the noodle. Ben was a meat and potatoes guy, and spent most of his adult life in England and France proving so. But I would be less than truthful if I did not honor the Japanese version of the noodle, ramen. Ramen is everywhere now. But, at one time, in a distant past, it was hardly known to anyone outside of Japan, or maybe Hawaii. Ramen started as a staple of poor college students, then transformed itself into a big underground food trend all over Asia and the U.S. 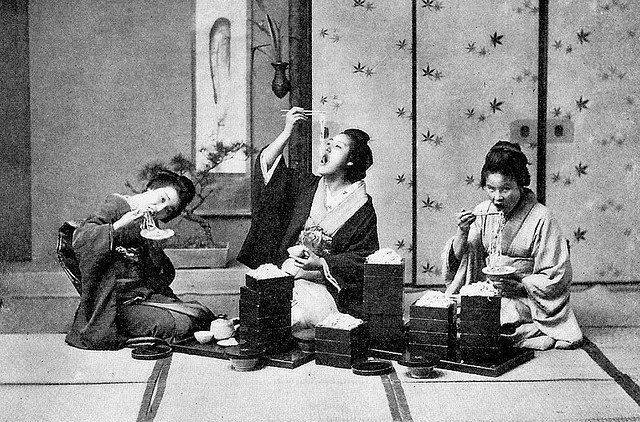 But back in 1910, Chinese noodles make their way across the sea to Japan. Folklore says a few Chinese chefs at Tokyo’s famous Rairaiken restaurant brought the noodles over, but they were not available for comment. Leave it to a Taiwanese-born Japanese businessman by the name of Momofuku Ando to invent instant noodles in Osaka in 1958. He lived to the ripe old age of 96, perhaps due to his daily ramen intake, despite advice from doctors and dietitians who advised against this salty dish. Then, in 1971, Ando’s company Nissin Foods released “Oodles of Noodles” to the U.S. But sales were flat, perhaps due to the rather silly name of “Oodles”. But the following year, renamed “Cup Noodles”, Ando and his company hit the proverbial jackpot. Instant noodles began their rapid ascent to stardom by becoming a staple of poor college students everywhere. By 2008, 94 billion packages of instant ramen are consumed per year! But the pinnacle of ramen came in 1994 when the world’s first ramen museum opened in Yokohama. I guess I missed it on my last trip to Japan. Now, even Tulsa, Oklahoma has a ramen bar to match San Francisco and New York City. The four basic ramens, shio, miso, shoyu, and tonkatsu are pushed to the limit of creativity. 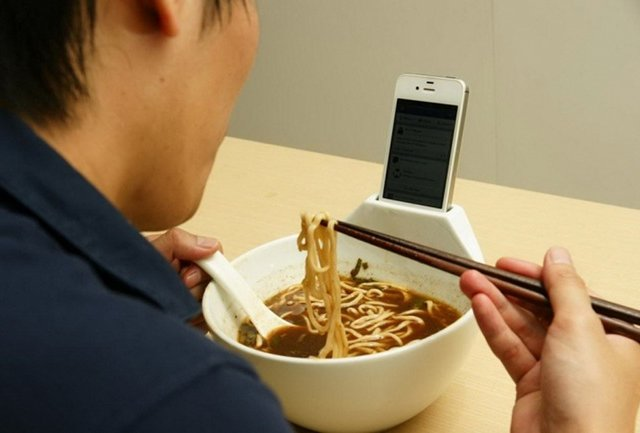 The ultimate ramen shop has an “ultimate” design for ramen, with a built in holder for your iphone. Bottom line, just enjoy your ramen, whether you make it at home, or go out. Just remember Mr. Ando and his great legacy during March, the month of noodle celebration. Should disaster hit the area, your package of ramen, assuming you can get some hot water, may save your lives. I hear it is a staple of my planned trip across Siberia. Lucky me!! !